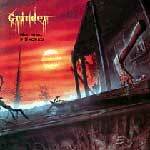 Grinder were a thrash metal band formed in Frankfurt, Germany in 1986 whose name was inspired by the Judas Priest song of the same name. Grinder changed their name to Capricorn in 1991 and released 2 albums under that name. After Capricorn split up drummer went on Stefan Arnold joined Grave Digger. Despite the deceiving, albeit witty album title, this was not Grinder's first album, although it certainly was their first EP. "The 1st EP" was actually Grinder's third release, not counting demos and the "Just Another Scar" single. "The 1st EP" was basically just a release to keep fans happy between full-length albums. EP's like this are cool because they usually have room for bizarre stuff that wouldn't make a full length album, such as the case here. "Reeling on the Edge" is a fairly straight forward thrasher, but it starts off almost like a funky rap-metal song. Blasphemy? Perhaps, but it was 1990 and the rap-metal craze was still far off, so I suppose it's also fairly inventive. Also, it's not exactly rap in the traditional sense, but rather it just describes the way that Adrian Hahn handles the vocals. It actually reminds me a bit of Sacred Reich. "Incarnation Off" is a heavy, mid-paced number, while "Truth in the Hands of Judas" is full throttle thrash metal that should put a smile on the face of any thrash fan. The three live tracks are outstanding. I love the warts and all recording, as well as the audience interaction. Actually the recording quality is pretty darned good on these tracks. The live band photos are great, bringing me back to the glory days of thrash metal, complete with Bermuda shorts, black t-shirts and pointy guitarz! THRASH! Grinder's "Nothing Is Sacred" is straight forward, heavy, aggressive thrash metal. I've read a handful of reviews of this CD before writing my own here. Most reviews were lukewarm at best. Personally, I don't get it. If you are a thrash fan, I just can't see what is not to like about this CD. OK, perhaps Grinder are not breaking any new ground and perhaps they are not the most technical band on the planet. So what! Who made up this rule that every band has to be the most original band on the planet? 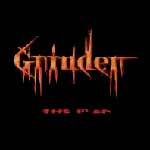 The fact is, Grinder are good at what they do and this is a very good CD. Grinder don't sound like most of their German counterparts, instead I hear a lot of similarities to Sacred Reich, especially in some of the vocals. Some of the heavier, faster songs here include "Hymn For The Isolated", "Mr. Sinister", "Nothing Is Sacred" and "Spirit Of Violence". All four tracks feature nice guitar work and some very good drum work. Once again, as I sit here listening to this CD for the third time since it arrived, I find it hard to believe that more thrashers couldn't find something to like here. There are some more mid-paced moments as well. "None Of The Brighter Days" is a slower track with some slightly more melodic vocals. Likewise, "Superior Being" starts of sort of slow, but picks up towards the end of the song. Personally, I think these tracks offer some variety to the music and add to the interest of the CD as a whole. Perhaps I am just a thrash die-hard or perhaps my taste differs from the average metalhead, but I think this is a very good CD. Pop it into your CD player in your car and see if you don't find yourself putting the pedal to the metal!